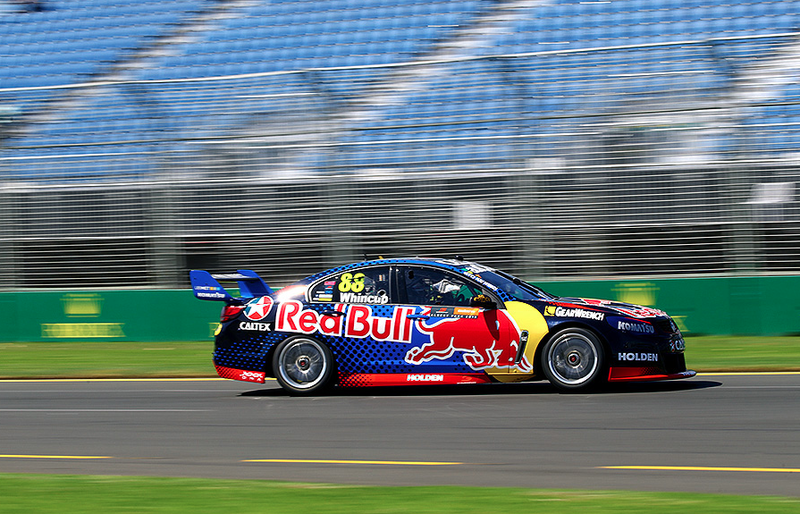 Jamie Whincup has scored pole position for the opening V8 Supercars heat at Albert Park in a tight qualifying session. The Fords of Mark Winterbottom, Fabian Coulthard and Chaz Mostert completed the top four, which were separated by just 0.088s. Whincup’s 1:56.56s best came midway through the 30 minutes, with the time proving unbeatable in the closing stages. “The cloud came in which should mean the track was quicker at the end,” shrugged Whincup after the session. Whincup rubbed the wall on the exit of Turn 10 during his final attempt to go quicker. “If you’re not running a little bit wide here and there you’re not going hard enough,” he added. Winterbottom was the most notable improver in the last tyre run, leaping ahead of Coulthard for second. “I thought the track would cool down but it’d actually got hotter for the start of the session,” noted Winterbottom. “We made a few changes for a cooler track but when it didn’t (get cooler) the car was really loose. “For the last set (of tyres) we changed it back and it was really good until Turn 14 where we had a bit of a wobble and lost time. 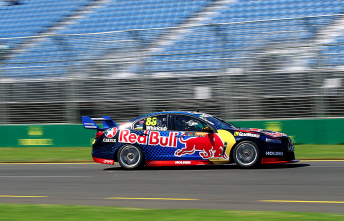 Shane van Gisbergen ended up fifth in the second Red Bull entry ahead of Jason Bright, Craig Lowndes, Michael Caruso, James Courtney and Scott Pye. Will Davison joined the session 10 minutes in following repairs to his Tekno Holden after its Practice 2 crash. The Darrell Lea backed entry will start Race 1 from 16th.